“I was very close to leaving law school my first semester, but our second semester we were able to start volunteering at clinics like the Pro Bono Initiative – an initiative that offers free legal advice targeting low income families who don’t qualify for any legal aid. It saved my law school career. Home has always been something important to me. I love traveling, but I’ve always felt very rooted in one place. The idea that so many people have lost that and can’t go back – like my dad who couldn’t go back to Iran for a long time — is particularly gut-wrenching to me. I grew up in a very international family. My dad is from Iran, my mom is Portuguese and my step-mom is from the Philippines. I began working with refugees when I was in high school. That was just such an impactful experience and I knew that was a community I wanted to work with. I came to law school with this in mind and this has been my entire focus here, even my involvement in the Pro Bono Initiative has been centered around clinics for refugees and immigrants. And after graduation I will be working with a local immigration law firm, Perretta Law, where I will focus on asylum and deportation defense. 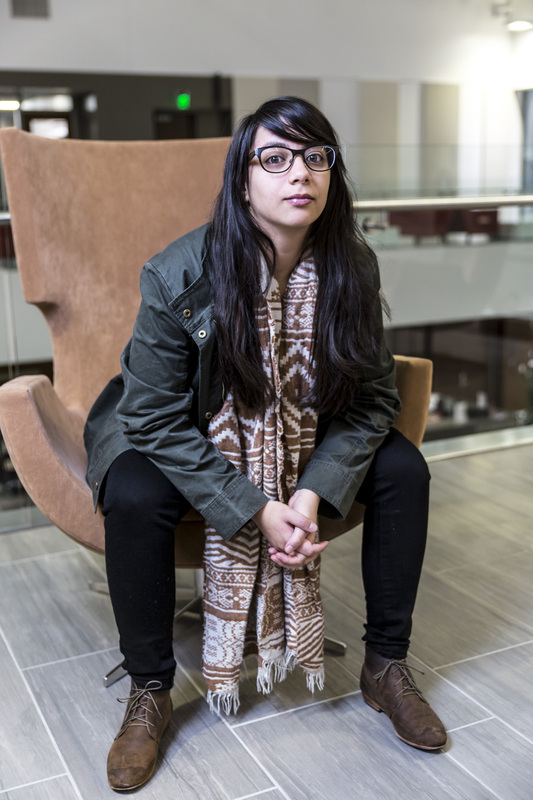 We’ll be featuring Humans of the U and sharing their stories throughout the year with the university community. If you know someone with a compelling story, let us know at ThisWeek@utah.edu.